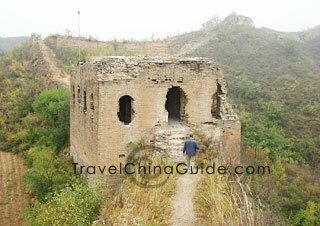 Highlights: Gubeikou Great Wall, located along the Yanshan Mountain range in the northeast of Miyun County, is about 100 kilometers northeast of Beijing. It is composed of the Wohushan and Panlongshan sections. Although collapsed and dilapidated, the wall has never been under any restoration whatsoever, and has therefore kept its original appearance. 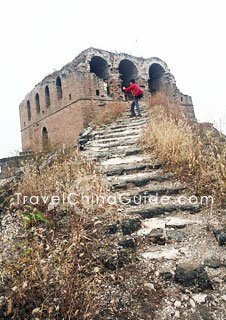 Because of this, it attracts travelers from all over the world here to appreciate the splendid beauty of the old walls. Being separated by the Chaohe River, this section of the wall was divided into Wohushan on the west and Panlongshan on the east, so you cannot hike along the wall from Wohushan to Panlongshan directly. You have to climb up Wohushan and return to the foot of the mountain first, and then restart for the Panlongshan section. 1). Take Bus No. 980 or 980 (express) from Dongzhimen Station and get off at Miyun Station to connect Miyun Bus 25 to Gubeikou. The total tickets cost about CNY25 and the trip takes about 5 hours one way. The first bus 980 leaves Dongzhimen at 05:50 and the first 980 (express) departs at 06:00. They both run at an interval of 15 minutes. Miyun Bus 25 is available from Miyun Station hourly from 07:00 to 18:00. 2). From Sihui long-distance bus station, take a bus to Chengde City or Luanping County. The buses are available every 30 minutes from 05:10 to 16:05. 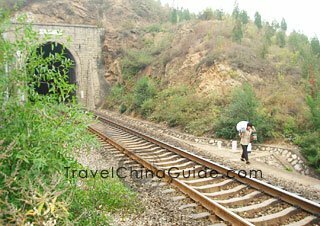 Get off at the Gubeikou tunnel and you will see the wall. As these buses do not set off until the bus is fully seated, so the whole journey takes about 5 hours. The ticket is CNY36 per person. If you will drive there, you can start from Siyuanqiao Bridge and take Jingshun Road. When you reach Kuliushu Roundabout, head in the direction of Miyun. Then at Niulanshan Roundabout drive along the National Highway 101. After passing Miyun County and Taishitun, you will arrive at Gubeikou. No matter which method of transportation you choose, you will arrive at the County and walk through Hexi Village. Hexi Village is a folk culture village. If you have enough time, visit in the village before or after your trekking trip as it is very interesting. 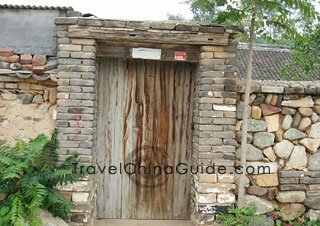 As you walk out of Heixi Village, you can find the entrance to Wohushan wall not far away. Wohushan is about 13.6 kilometers (8.5 miles) long, with 20 guard towers. It is so named because the whole wall winding along the mountain looks like a crouching tiger, which is “wohu” in Chinese. It is open all day long and a ticket costs CNY25 per person. 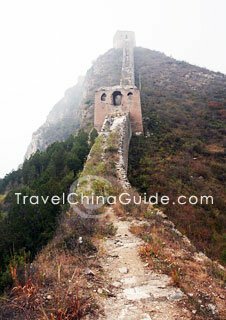 If you enter the wall from Hexi Village instead of at the entrance to the scenic spot, one does not have to purchase a ticket. Wohushan section does not have ups and downs; it rises all the way up, instead. The wall was constructed on the mountain with an altitude of 450 meters (1,476 feet), and the highest point of the wall was about 665 meters (2,181 feet). The first section of the wall is totally ruined and one is hardly able to walk through. Previous trekkers have already stepped out a new side path alongside the wall. At the end of this side path is a guard tower. You will need to climb over the tower to continue your hiking. Go on with climbing up and you will pass a destroyed guard tower which looks like an archway with the walls collapsed. Walk through the gate (tower) and continue to climb upward. When you reach the highest guard tower, you can overlook Wohushan to the west and Panlongshan to the east. After a short rest, reverse the trip to get back to the foot of the mountain. After a rest at Hexi Village you can set off for the next destination, Panlongshan section. Pass over the bridge over Chaohe River and walk northwards along the “101 national way” for about 50 meters, until you find a broad road leading eastward. Walk along this road for about 500 meters, until you can see the Gubeikou Sino-Japanese Battle Monument erected half way up the mountain. From there, you can get to the wall from any one of the paths. Along the way, there will be some signs giving directions to Panlongshan. Panlongshan section is not high in altitude. It is only about 150 meters (492 feet) high, but the walking distance of the wall is up to 5 kilometers (3.1 miles) with about 19 guard towers. The General Tower is the most famous guard tower. It is located at the commanding elevation of Palongshan Mountain, from where wars were directed. There are four arrow windows on the north and south sides, and three on the east and west sides. This section was built of earth, stone and brick and has never been repaired and is in its original state. Lots of wars took place here. In ancient times, both warring parties placed great emphasis on securing the Panlongshan wall, because they knew that once the wall was taken, Gubeikou could be easily occupied and the capital city in danger. Therefore, most guard towers of this section were damaged during the wars. As lots of visitors hike through this section of the wall every year, the road along this section is in better condition comparatively, and is not as steep as Wohushan section. Further along the road, you will arrive at the famous Guard Tower with 24 Holes, the end of this section, where you cannot get through along the wall any more. 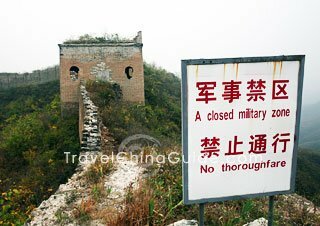 It is the military forbidden area and there is a white board on the wall saying "A closed military zone ~ No thoroughfare". 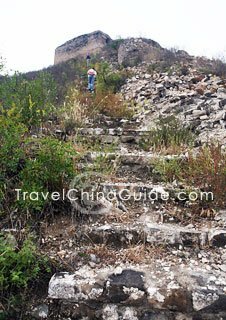 You can return to the village along the same way, or bypass the military zone to hike forward to the well-known Jinshanling section. You can find a little path stretching northward at the east side of the tower. Hike along this path and you will find a corn field. There is another path turning to the right. Walk along the path to get out of the field. Continue to go forward and you will reach the Jinshanling Great Wall. You can refer to Jinshanling to Simatai Hiking for more tips about this section. After you finish the hiking and return to the village, you can take a cab or minibus to the starting station of the shuttle bus from Gubeikou to Miyun County. It takes about 10 minutes and the cost is about CNY15. Then take the shuttle bus to Miyun, which takes 1.5 hours with a cost of CNY3 per person. From Miyun bus station take the bus 980 (Express) to Dongzhimen Station. It takes about 1.5 hours and the ticket is CNY15 or CNY6 with a transportation card. The last 980 (express) leaves from Miyun bus station at 18:30. You can also take bus 980 which takes longer to get back to the city, but the last one departs at 19:00. 1. The whole excursion for both sections of the wall takes about 7-8 hours. So, if you arrive late, you'd better stay at Gubeikou County for one night. There are many cheap and clean home-inns near the great wall. 2. Take enough water and snack with you, as those in the attraction are expensive. There is no toilet on the wall, so do not drink too much water. 3. Download a map or GPS APK on your mobile phone, which will be very helpful during the excursion. If you keep walking through the milotary zone will it take you to Mutianyu? 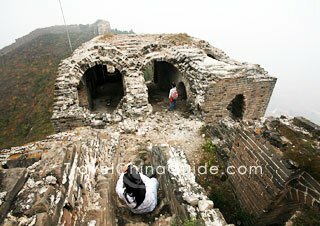 You will reach the well-known Jinshanling section after bypassing the military zone of Gubeikou. 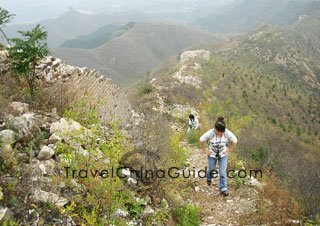 Mutianyu is another section of the Great Wall, which is safer than the wild Great Wall. So what happens if you keep walking east of Mutianyu? 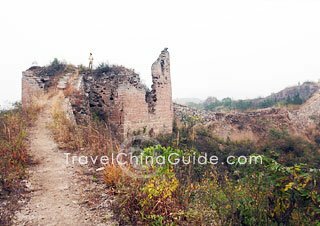 Although the Gubeikou Great Wall lies to the east of Mutianyu Great Wall, there is no direct way through Mutianyu to Gubeikou. If you keep walking east of Mutianyu, the east end is Big Corner Tower, which is the last spot that is opened to tourists, and then is non-tourist area. Yeah, I went to Mutianyu a few months ago. And walked on the non tourist bit, but it splits off into 2 walls at the last tower. So I was wondering if it was still Mutianyu, or if it's another wall. if we were to do this trip over a weekend what do you suggest for accommodation? Gubeikou?? 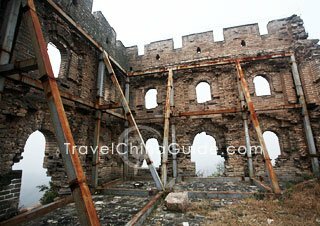 Well, in my opinion, it is not a good idea to stay overnight near Great Wall as the condition there is not very good. 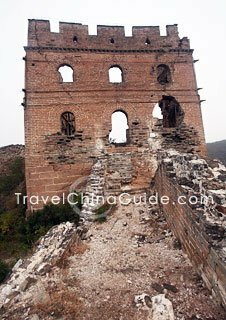 However, if you do not mind it, i would like to recommend the Gubeikou Die Cui Ju Folk Hotel for you, which is very convenient for you to access the Great Wall.